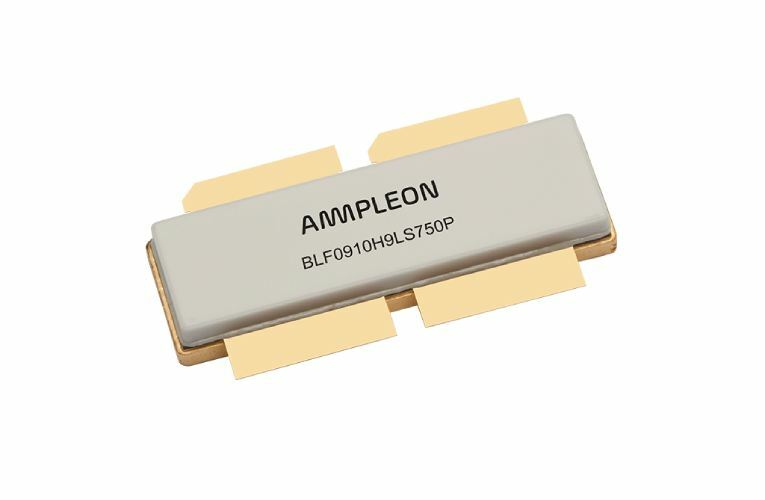 Ampleon released a high efficiency 750W RF power transistor BLF0910H9LS750P that minimizes the amount of energy it uses to deliver a given output power, reducing operating costs, decreasing heat dissipation, enabling simpler and lower-cost cooling solutions, more compact systems, and hence lower manufacturing costs. The transistor offers efficiency of 72.5% at 915 MHz with rugged design which makes it ideal for applications such as professional RF energy applications. The new RF power transistor offers broadband capabilities which enable better control and flexibility in operation. Transistor’s pre-matched input makes integration easier into end applications. The BLF0910H9LS750P is designed for high-power CW applications and is assembled in a high performance ceramic package. The samples and the production quantity of BLF0910H9LS750P is available now from Ampleon and distributors including Digikey and RFMW.